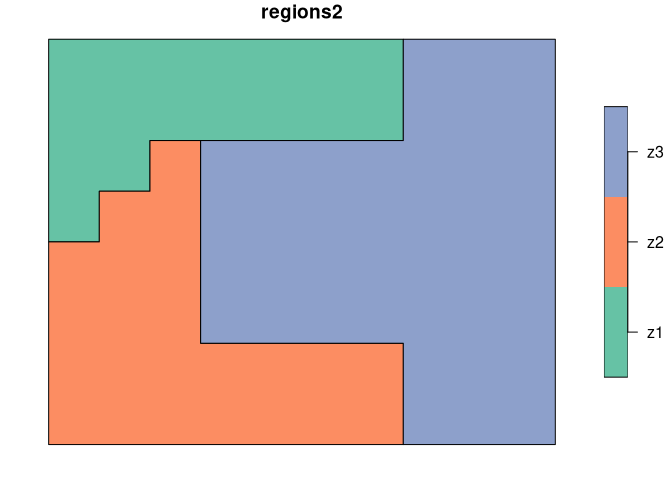 We use two simple regionalization, regions1 and regions2 to show the basic concept of calculating a degree of spatial association. 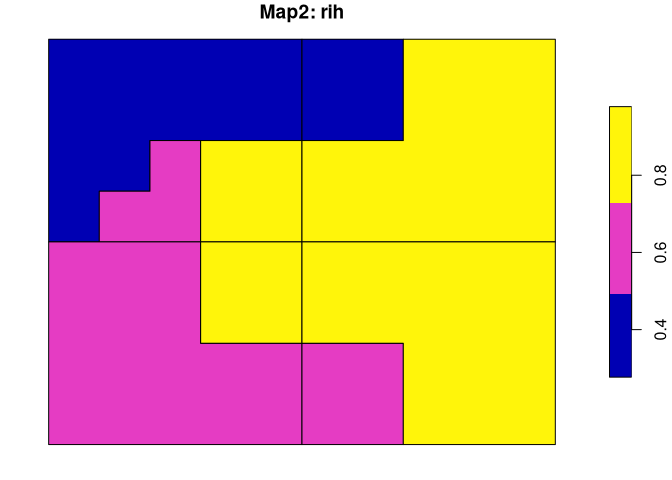 The first map, regions1 consists of four regions of the same shape and size, while the second one, regions2 has three irregular regions. The result is a list with three metrics of spatial association - V-measure, Homogeneity, Completeness - and two sf objects with preprocessed input maps - $map1 and $map2. Both spatial outputs have two columns. 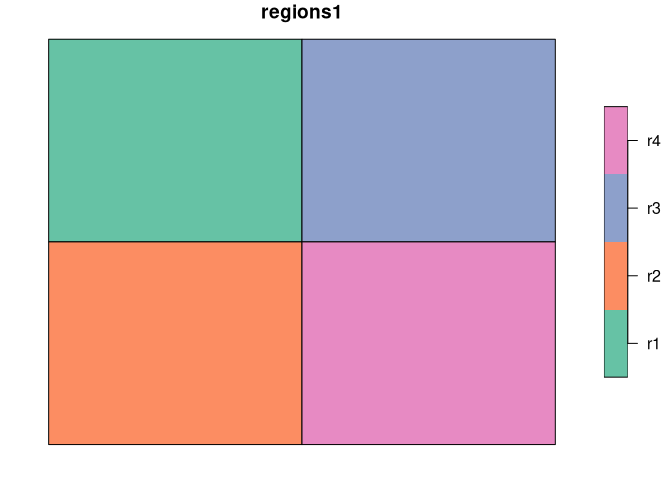 The first one contains regions’ names/values and the second one (rih) describes regions’ inhomogeneities. More examples can be found in the package vignette and in the sabre: or how to compare two maps? blog post. Additionally, examples presented in the Spatial association between regionalizations using the information-theoretical V-measure article can be reproduced using data available at http://sil.uc.edu/cms/index.php?id=data-1#vmeasure. Rosenberg, Andrew, and Julia Hirschberg. “V-measure: A conditional entropy-based external cluster evaluation measure.” Proceedings of the 2007 joint conference on empirical methods in natural language processing and computational natural language learning (EMNLP-CoNLL). 2007. Hargrove, William W., Forrest M. Hoffman, and Paul F. Hessburg. 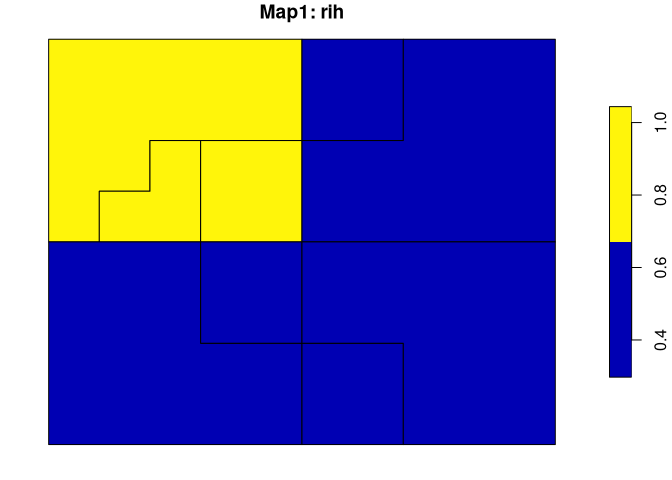 “Mapcurves: a quantitative method for comparing categorical maps.” Journal of Geographical Systems 8.2 (2006): 187.